Assigned by United Nations as UNDP climate change champion in 2016, Michael Haddad is a professional athlete, holder of three world records, motivational speaker, environmental advocate and social entrepreneur. 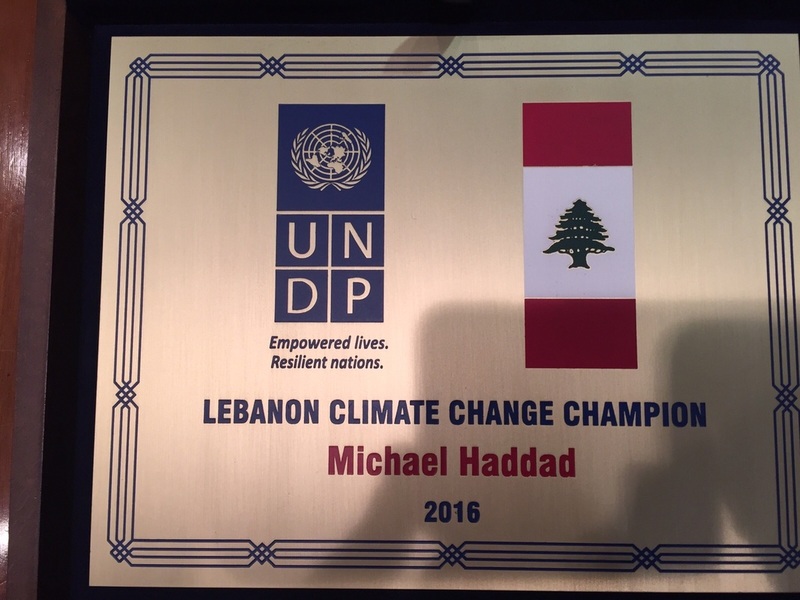 ﻿In a collective effort to raise awareness on climate change, water pollution and marine life, and reforestation; Michael endured all the obstacles and accomplished three world records in walking, climbing and snowshoeing in Lebanon’s extreme environments. medical and the engineering fields to provide an effective solution for paraplegics to reclaim an independent life without using a manual wheelchair, or a range of driving equipment. Studying Michael’s technique to walk, Dr. Rechdi Ahdab, professor of neurology and clinical neurophysiology, concluded “Michael has proved to the scientific community that high quality ambulation using minimal nervous resources is possible in paraplegia.” The first project will be centered on studying Michael’s nervous system to define potential prerequisites to adopting his technique. In parallel, the neurologists will test the effect of Neuromodulator techniques on Michael’s performance. The ultimate goal is to make this easily affordable and widely applicable technique available to the largest number of paraplegic patients. Michael’s ability to endure extreme pain and yet attain a high performance level was also another aspect to study his nervous system, the outcome of this study can lead to creating a facility specialized in training elite athletes to boost their pain tolerance abilities and achieve higher performances. Furthermore, the core target of Michael’s collaboration with the engineering team is to revolutionize the current exoskeleton. His vision “Accessibility for All and Everywhere” is the main impetus behind the production of a lighter and less-cost exoskeleton. Through his work as an activist, he believes that “Today true leadership is only reflected by a green mind outset; Earth is sitting in a wheelchair and saving it is not impossible, it can be achieved by our simple daily actions”. In other words, when humans sustain the resources of the Earth through simple daily deeds; it will stand up and walk again. It’s our duty and responsibility to make this happen for the sake of future generations yet to come. Every step that Michael takes, no matter how much difficult that step is, is for spreading this philosophy of unity and sustainability and let it echo all over the globe. 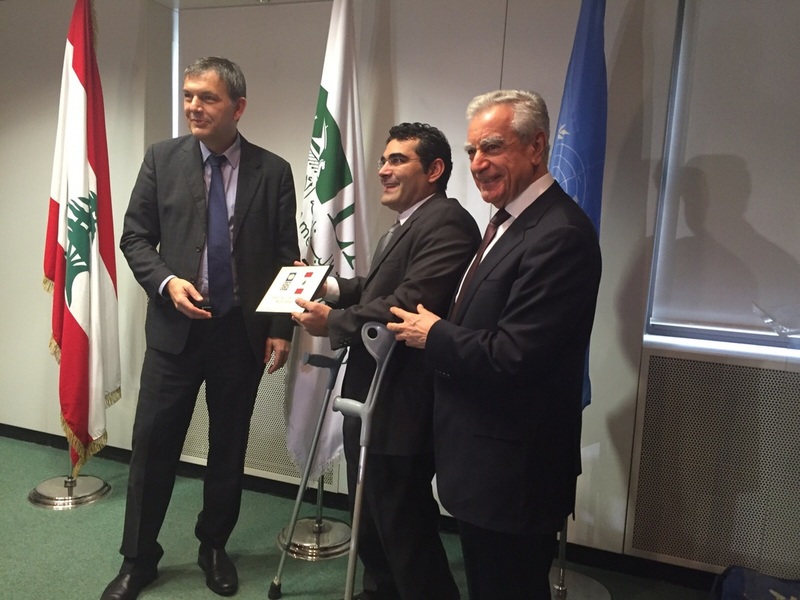 To that end and in appreciation to all of his achievements which sent a message of hope worldwide; he has been highly honored and recommended by the United Nations Development Program in Lebanon, the President of the Lebanese Republic, Army commander in chief, Lebanese Parliamentary Sports and Human Rights Committee.